By New York Times standards, this is remarkably balanced, which is to say the reporter went around to Appleseed events and reported on people he thought were whack jobs. I’ve had my issues with Appleseed, as I posted a few years ago here, here, and here, but mostly centered on the question of whether it was meant to bring people into shooting, was something for casual shooters to get them more serious, or was something to get people thinking about revolution. It never seemed to me that it’s a good program for the first and last, but could be for the middle purpose. This probably hits at the heart of the real problem I have with Appleseed, but not for the same reasons as the New York Times reporter, who seems to hint that the notion of an organic Revolution is quaint and silly, rather than that Appleseed is only focusing on a small part of the picture. I would argue the man or woman who thinks about how to build UAVs, or knows something about robotics, chemistry, or engineering, has as much of or more of a contribution to make towards an organic militia of the people than someone who can hit a man sized target at 500 yards. That’s not what we want to hear because it’s not the founding narrative of America, but that’s the reality of modern asymmetric warfare. It’s not that small arms would have no role to play in such a doomsday scenario, they certainly would, but they would only be one part of a much larger picture, and the kinds of rifle shooting taught by Appleseeds would be an even smaller part of that. That’s kind of why I question what Appleseed is really trying to accomplish, not because I think it’s necessarily bad, but because it doesn’t seem to fit into a category outside of just teaching people how to be a better high-power shooter. That’s certainly a laudable goal, but what’s the goal in bringing in the rest of the ideas? When it comes to preparing for the worst, there’s no need to make plain about what you’re doing. Shooting is a lot of fun, and you can teach it to people that way. Robotics is also a fun hobby. Model airplanes anyone? Look how much fun Joe’s Boomershoot is. Piloting UAVs? Plenty of flight simulators out there. Let’s also not overlook the value of computer hacking. My purpose isn’t to disparage small arms, because they have a role, but to make people think about the problem. This isn’t the weapon, just a tool. This is the real weapon. Despite various assertions that your average American is a sheep, I have a pretty strong faith that if things got bad enough, that if, as one of my favorite federal judges said, “where the government refuses to stand for reelection and silences those who protest; where courts have lost the courage to oppose, or can find no one to enforce their decrees,” that Americans will rise to the occasion. If that does come to pass, we’re going to need a much wider variety of skills than we did in 1776. This wouldn’t be a rifleman’s war. Learning how to shoot targets out to 500 feet is certainly fine, but it’s only a small part of the overall picture. That is, if you’re about more than just teaching people how to be better shooters. I think a financial collapse/attack or a technological collapse/attack are the greatest threats and tactical solutions in a large scale assault and/or defense in our modern day America. It’s no random accident that recently had Chinese, Russian and other hackers testing our power grid’s digital integrity. I haven’t been to an Appleseed but was thinking of going. I thought they were about marksmanship and history–two of my favorite things. I didn’t know it was supposed to be about some future apocalyptic uprising. Where does that come from? I think there’s a lot of variation depending on who’s running the event. For most events that I’ve heard of, it’s more along the lines of what you’re suggesting. The NYT reporter likely looked for, and found, the ones run by more radical types. You are correct about the high-tech skills required. Appleseed appeals to people who are unlikely to have those skills. “If all you have is a hammer, everything looks like a nail.” Still, 5000 militia with rifles would overwhelm any federal force likely to be at that location at any given time. Federal law enforcment or military could be concentrated in a particular location sufficient to overwhelm a militia–but where would they be concentrated? One of the great advantages that the U.S. enjoyed during the Revolution was not just that we had skilled marksmen, but that no matter where British forces went, they were outnumbered by several orders of magnitude by miltia. Our militia were never a match for an equivalent number of British troops–but it didn’t matter. The British never had more than a few thousand troops in any part of the U.S., and they were outnumbered 100:1 or more by militia. Still, 5000 militia with rifles would overwhelm any federal force likely to be at that location at any given time. Federal law enforcment or military could be concentrated in a particular location sufficient to overwhelm a militia–but where would they be concentrated? I think that depends on how willing they are to kill in order to achieve their objectives, and the nature of the force. Militia tend to not fare so well against helicopters and guided munitions. A handful of US soldiers, with air support, were able to hold off a significant number of militia in Mogadishu with fairly minimal loss. I tend to think the best use of militia woud be in hit-and-run strikes on the apparatuses of state power, not necessarily trying to fight in a conventional sense. Um, I think Afghanistan guerillas have proven the battle rifle/distance rifle vs superior force, technology and numbers twice now. Fool: One who knows nothing. Wise man: One who knows he knows nothing. A fool can show up to an Appleseed shoot and become a wise man in his rifle…realize he doesn’t have a clue on how to shoot, how to zero, etc. He may not leave a rifleman, but he leaves wiser knowing some of his shortcomings. Such has happened to me after two appleseeds, and my next plan is to begin Urban Action League. I don’t notice that we’re taking particularly heavy losses in Afghanistan, and still remain there with our preferred government operating at least minimally. But I would also note that Afghanistan is a relatively backwards and primitive country, where it’s hard to maintain large armies. Resistance to a totalitarian takeover of a technologically advanced society is going to look different than what goes on in Afghanistan. Again, I don’t deny small arms would play a role, but it won’t necessarily be a rifleman’s conflict. Thank God, too. But they’re doing remarkably well against us on a cost basis, and politically our nation will weary of war in Afghanistan before we can establish a stable pro-American government…or economically. Sorry to tell you guy’s but July 2010 was the deadliest month of the war in Afghanistan. The media just doesn’t cover the death toll under Obama as close as they did under W…shocker! That may be true, but on the other hand, as at least one media source has pointed out, the Afghan insurgents are hardly riflemen. They tend more towards the “spray and pray” method and generall prefer full-auto fire to aimed shots. Also, while I agree that any such conflict in the US would not be won by rifleman, I would suggest that it won’t be won without riflemen, either. Whoops! I hit the button too soon. Also, while I agree that any such conflict in the US would not be won by rifleman, I would suggest that it won’t be won without riflemen, either. The effectiveness of the insurgents’ few real riflemen in the middle-east has shown us that they can be, and are, effective against a modern high-tech military. I don’t think you can ignore small arms. They have a role. Truth in lending: I am an Appleseed instructor. The primary purpose of the Appleseed Project is to awaken the citizens of America and to get them involved in their government. Riflemarksmanship is merely a vehicle to introduce citizens to their history and to motivate them to get them involved. I visited an Appleseed Project shoot a couple of weekends ago. It is absolutely awesome what these folks are doing with so few resources. They deserve all the support the gun rights community can give them. My 7 year old grandson will be attending an Appleseed shoot within the next year or so – as soon as he can learn to sit still and pay attention. He likes the shooting part a lot but hasn’t developed the requisite patience yet. Give them your support please! Disclosure: Dormant Appleseed Instructor due to life happening. Appleseed does not teach or preach revolution. There certainly may be people in it that do however. Should they be caught doing that, they would, at a minimum, be told to cease and desist. Appleseed does teach primarily about ONE day in history. The day, in the opinion of many, that signified the actual start of the revolutionary war. The rest of the time is spent teaching “basic” rifle marksmanship. Over the course of two days you don’t have time for much else. I’ll also be the first to admit that I went into the program very leery. I don’t want any involvement in any organization that promotes rebellion against our government. At the end of every Appleseed I went to, they went to great pains to tell people to get involved with our political process. Make a difference “through” the system. So will it save America as Fred thinks it will? I don’t have the answer to that but I do think it can help. 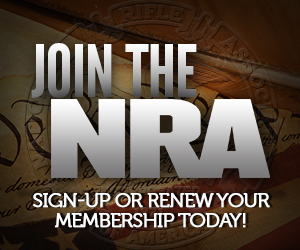 If all it ever did was turn non or inexperienced shooters into people who were comfortable with firearms and encourage a decent percentage of them to write to their representatives, it’ll have done more to help get us back on the right course that a lot of other organizations out there. At least in my humble opinion. Washington DC might deploy air support and the military against protestors. Won’t happen in Harrisburg, Annapolis or Richmond. If America comes to the brink, it’ll be a small number of badged and armed government employees committing some atrocity. Shooting arrogant felonious federal employees and appointees in the head at long range is exactly what will make the difference. Robotics and theoretical chemistry are strategically important, and critical to a functional society, but will have no value to the fast-moving accidents of history that will decide the outcome. Earlier this year in Maryland, College Park police beat a U.of Maryland student because the police were bored; we only know because it was caught on video. Last year cops in Philadelphia were caught on tape, trying to disable the store’s security cameras before they robbed the store (at gunpoint). Conjugating Latin or civil engineering isn’t going to resolve corruption like that. That’s funny… I seem to recall it was physics that ended the last big war. Any future “Second American Revolution” won’t be a big war. It will be fairly localized and guerilla in nature. Think of the biggest, nastiest, longest-lasting, festering, ugliest insurgency you can. And then imagine that horrible insurgency taking place where everybody has access to modern vehicles, modern electronics, modern firearms, the Internet, cell phones, etc. etc. Then to make you really shudder, imagine that insurgency happening in your town, in your neighborhood, where you live. You think mujhadeen and Al Quaida can make good IED’s? How about folks who rebuild pickup truck engines as a hobby? Now add in the capability to reliably hit torso-sized targets from 500 yards, or even beyond, and think about that. Anybody who understands anything about rifle marksmanship can hit torso-sized targets at around 500 yards with a bolt-action, scoped, centerfire rifle like the type sold at thousands of big-box retail locations everywhere. In whatever locality the insurgency is happening, there won’t be any front lines. There won’t be any reliable way to tell friend from foe, since they will all speak the same language, operate in the same culture, and know the same landscape very well. Talk about a horrific, nightmarish mess. Do some reading about the situation in southern Missouri during the American Civil War for a primer. And the insurgents won’t have to really win at all. All they’d have to do is just outlast their foes. Pray that it never comes to that. All it takes to jam a signal is a large broadband transmitter. Here we have enough people that can build jammers. “They have Tanks and Missiles and Nukes” only works if you honestly believe they’d use those resources on our own population. The problem with that is collateral damage, and the absolute fact that if they WOULD use such tactics on our civillians, they deserve to be shot at. Yeah, they buried that article above the fold on the front page of MSNBC and Yahoo. Usually I tune out when I’m around gun folks who start talking militias and revolution. I hope this topic doesn’t become a regular one here. The myth of the noble Pashtun with his trusty Enfield is a persistent one. It’s has little to do with a war where the other side is mostly using rockets, mortars, IEDs, and the occasional LMG to inflict casualties. As someone who has attended an Appleseed (and Sebastian, you really really really need to – and I heartily recommend the one in Manheim, PA), I found it to be exceptional. I had my concerns as to whether it was going to be a bunch of whackos. And it was far from it. In fact, I’d say it felt more like Boy Scouts of America than anything close to militia. We were given some basic fundamentals of shooting our rifle. I would call this a beginner marksmanship. It is best for shooters who have shot before (and understand how to load a magazine, chamber a round, and basic rifle safety). I will also say they have probably THE SAFEST range practices I have seen. As for “revolution”. The focus was on two aspects. History. History of one 24 hour period in America’s history. The day that really sparked the American Revolution. In this, they use it to detail the cultural differences of the colonies, correct some mis-history (ie: Paul Revere shouting “The British are coming!” NOT). How a nation of marksman played an affect in the revolution. The crux of their point for today. Is that we DO NOT need to have a bloody revolution because our Founder’s achieved for us a system that allows us to effect and influence change on our system. Their point was that our Founder’s have given us an alternative to our rifles. Be realistic with yourself, it ain’t the top story on the news damn near every night like it was on MSNBC/CNN or FOX news. A group that wants to get more people shooting. Nothing wrong with that. I’d just leave the revolutionary politics out of it. Notice that the article doesn’t say a word about the CMP: A government organization that sells guns and ammo to the public! All of the revolutionary fantasy stuff is counter productive. I hope to attend an Appleseed someday (I’m not sure I could afford any training that is more expensive…); I would have to disagree with “mostlygenius”, though, when he says to keep the Revolution stuff out of it. This is especially true if the focus is on the Revolutionary War, because it’s important that we understand why we fought that war. If they even discussed Lockean Revolution Theory (which they probably don’t, although it’s something we probably ought to study ourselves), I wouldn’t mind it, so long as they did it right–which would be *very* tricky to do. Discussing when it is moral to have a Revolution, and when it is practical to have a Revolution–practicality is very important, because a just Revolution can be set back many years if attempted at a most impractical moment–is very important to have. Are we on the brink of just and practical Revolution? Most certainly not–I hope! Should we be prepared for one? Most certainly–for sometimes the preparation prevents it from being necessary, and sometimes it may even be unavoidable.